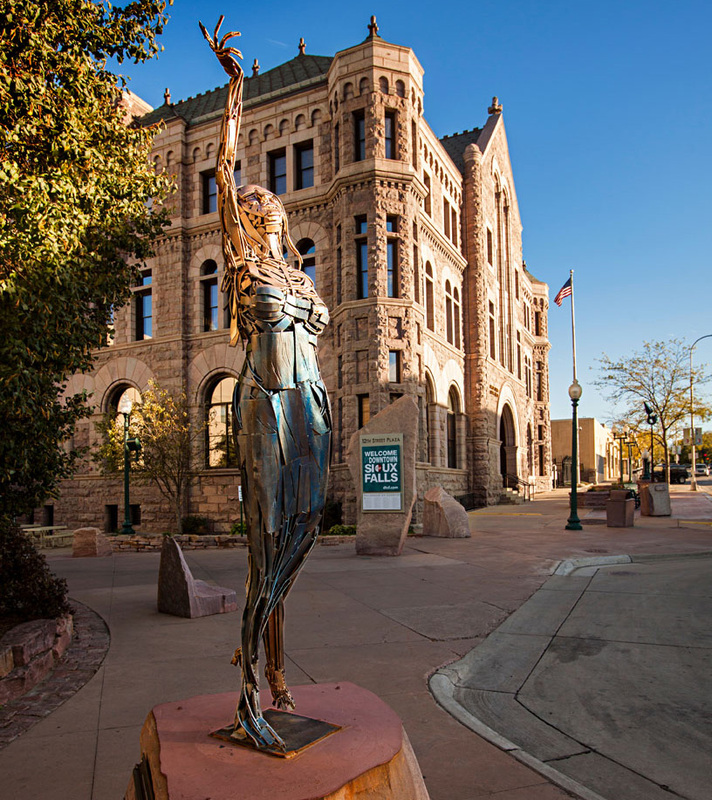 A sculpture-filled downtown, a famous park and nearby outdoor rec funnel visitors to South Dakota’s biggest metro, Sioux Falls. Pioneers transformed the prairie settlement of Sioux Falls with buildings of distinctive pink quartzite. Beds of that same quartzite wear smoother every century from the force of the Big Sioux River—its waterfalls just blocks from downtown in the state's largest city. Pair a fresh cup of coffee at Josiah’s Coffeehouse and Cafe with bananas Foster French toast for a satisfying breakfast. 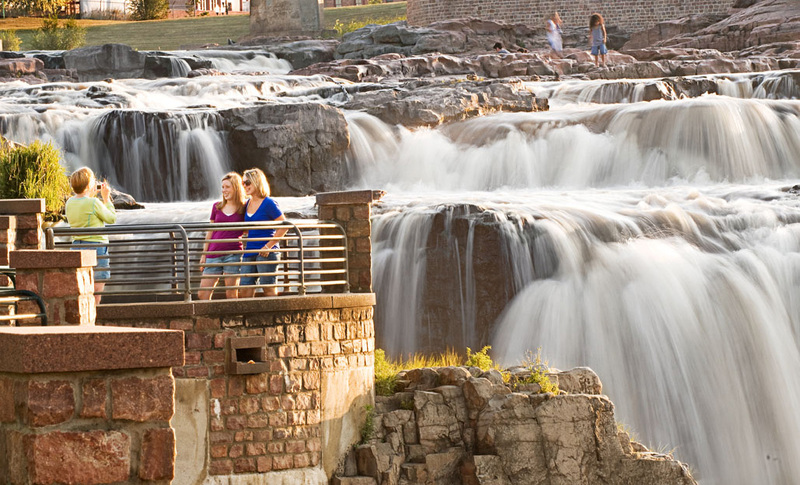 In nearby Falls Park, the Big Sioux River drops 100 feet in a series of dramatic waterfalls. Take the elevator to the top of the five-story viewing tower for the best vistas, then stroll the park’s paved walkway. Enjoy a snack at the Falls Overlook Cafe in a 1908 hydroelectric plant. Three floors of regional history draw visitors to the Old Courthouse Museum, a restored 1880s quartzite building. 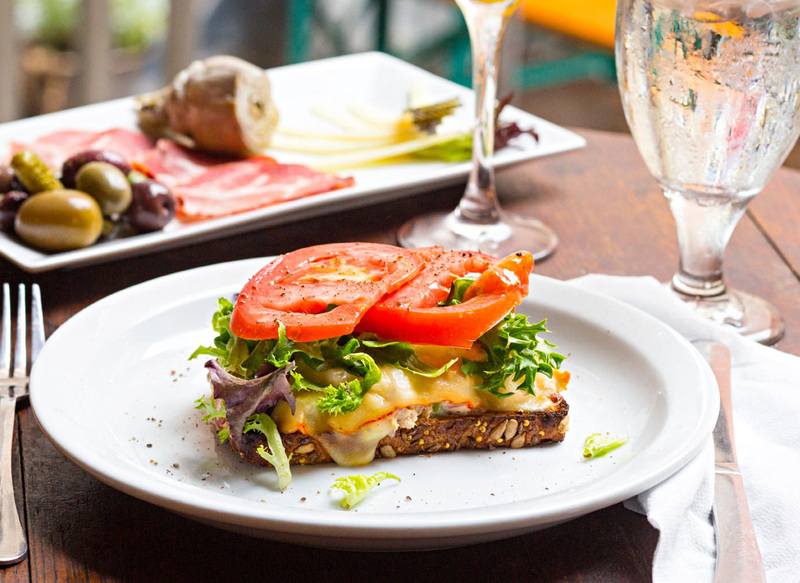 Try lunch specials like a classic muffuletta or pasta salad with spinach and currants at M.B. Haskett Delicatessen downtown. A $1-a-day trolley ferries passengers along Phillips Avenue and the East Bank, where you’ll pass some of the pieces of art on SculptureWalk as you shop galleries and boutiques. At K Restaurant, the dinner menu changes each weekend; expect contemporary American entrees like lobster red Thai curry and bison stroganoff. A few miles northwest of downtown, an indoor water park and classy, oversize digs cater to families at Best Western Plus Ramkota Hotel. Phillips Avenue Diner serves fluffy pancakes in a retro setting. 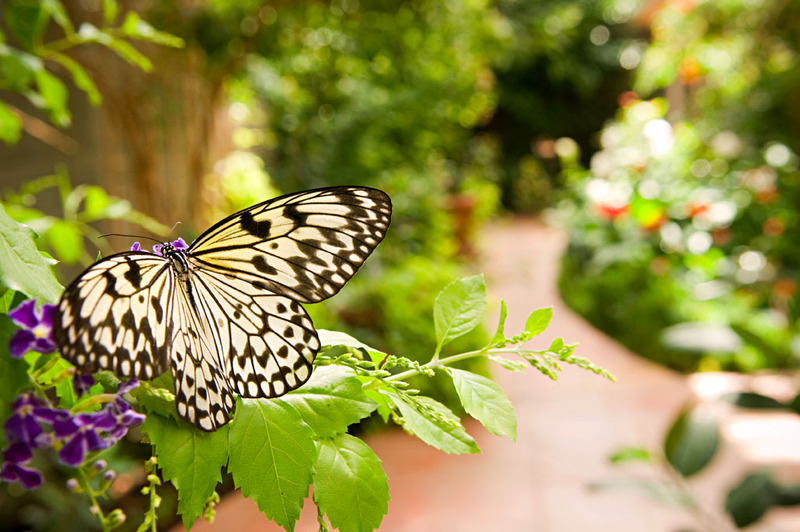 ​Two miles of walking trails and the Sertoma Butterfly House and Marine Cove await at Sertoma Park. For more animal encounters, the 45-acre Great Plains Zoo and Delbridge Museum of Natural History houses more than 1,000 creatures from around the world, including 23 endangered species. Kids will enjoy the Washington Pavilion of Arts and Sciences, which features hands-on exhibits at the Kirby Science Discovery Center. Mama’s Ladas Enchilada Shop and Wine Bar’s cheesy signature dish is a can’t-miss. Head to Palisades State Park in Garretson, 23 miles northeast of Sioux Falls, to walk trails to views of 50-foot cliffs above Split Rock Creek. The Pettigrew Home and Museum displays curiosities the state's first senator collected while traveling—among them the shackles worn by Wild Bill Hickok's killer and a walrus skin kayak. Spend a summer evening at the Birdcage ballpark catching the minor-league Canaries in action.